The new SOL Ellus five is certified as EN B. 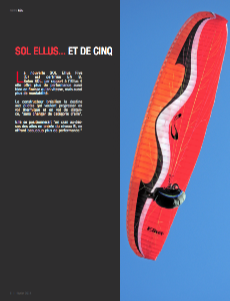 According to SOL it performs better than the Ellus 4 both in speed, glide and is also more maneuverable. 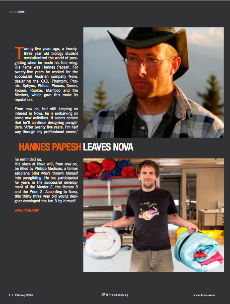 Twenty-five years ago, a twenty-three year old biology student revolutionized the world of paragliding when he made his first wing. 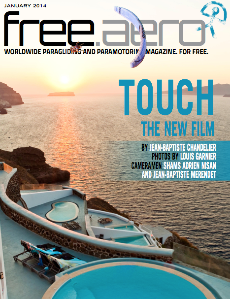 Jean-Baptiste Chandelier: Touch, his new film. 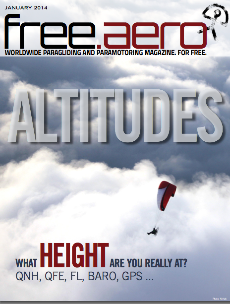 Our varios and GPSs tell us, amongst other things, our altitude. But which altitude? For a given position, at least three different readings can be arguably "correct". When it comes to respecting airspace this uncertainty isn’t practical. Adi Geisegger, an Austrian photographer had had the same dream for fifteen years. 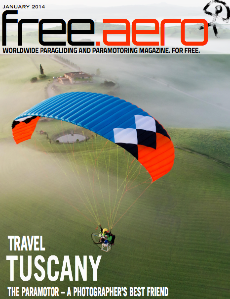 Finally his dream to discover Tuscany from the air came true. 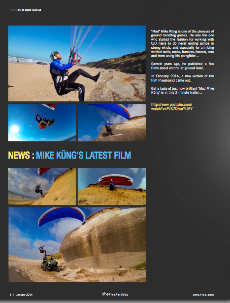 What better way than by paramotor? A new technology has made its appearance in the air intakes of our wings. The openings are set back and placed in a break in the lower surface. 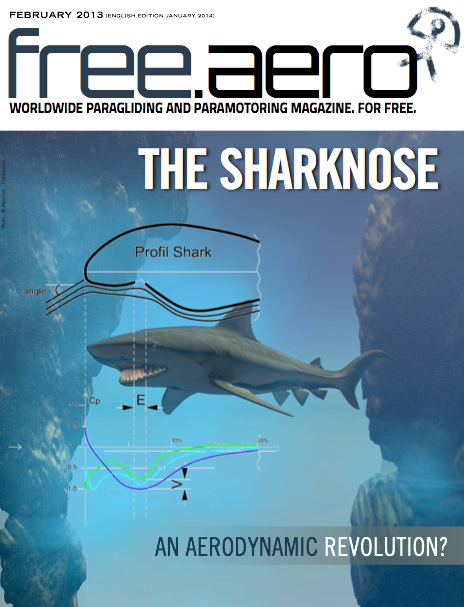 Are these Sharknoses an aerodynamic revolution? 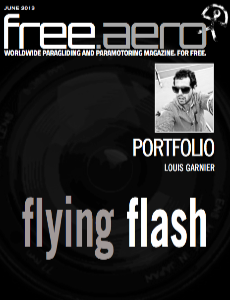 Louis Garnier is a French photographer with a special interest in, amongst other sports, action skiing. For these pictures he works, like many of his colleagues, with big flash units operated remotely. This technique allows the principal subject to be lifted off a grey or dusky sky in a very aesthetic manner.